Jacqueline Riding examines how a 19th-century painting, created almost 150 years after the Jacobite defeat at Culloden, has come to dominate the iconography of that event. 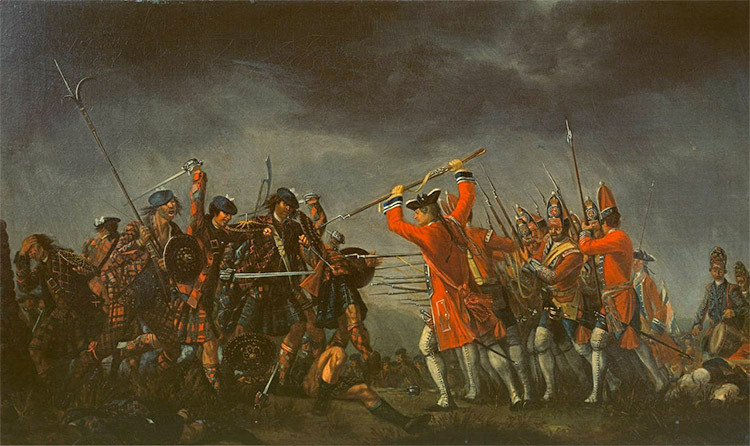 The second Jacobite Rebellion of 1745-46 is an important turning point in British history. Yet despite decades of re-evaluation and scholarship the event remains, among the wider public, the legend of ‘Bonnie Prince Charlie’ and his romantic but doomed attempt to regain a stolen crown. The beguiling image of the defeated Scottish prince as hunted fugitive among the heather and mist, evading the bayonets of the English redcoats, lingers still in the collective imagination. Many of us will know the wistful Skye Boat Song and its tale of ‘the lad that’s born to be king’ as he is spirited away to Skye from whence, like King Arthur, he ‘will come again’.